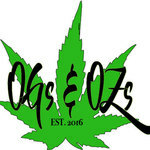 Located on Whittier Blvd, Los Angeles OGs & OZs is an established dispensary that has been in the business of medical cannabinoid products since 2015. For years the company has been providing its patients with upscale medical marijuana and has gained trust and appreciation from its clients. OGs & OZs is constantly expanding its assortment. As of now, there are over 60 various grades of Sativa, Indica and Hybrid. Moreover, here clients, who prefer other methods of ingestion than smoking, would be pleased to find quite a substantial selection of edibles, extracts and topicals. The range of products also includes gear and accessories. But this extensive menu is not the only thing that is worthy of client’s time. OGs & OZs strives to provide the best possible customer service. Here, the members of staff would be happy to provide you with a detailed consultation on the matter of choosing the right strains, which would meet your needs best. Also any first-time will be greeted with special offers and gifts.